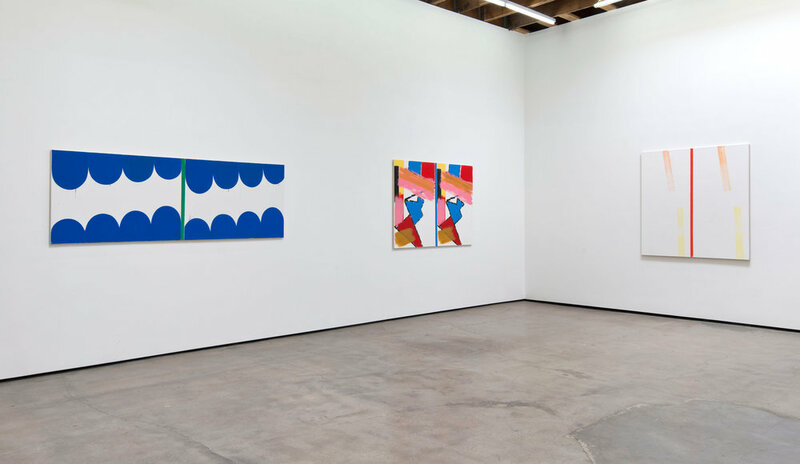 Installation view of Bernard Piffaretti: Moving Pictures at Cherry and Martin, Los Angeles, CA, April 2 — May 3, 2015. Bernard Piffaretti is a painter living and working in Paris. 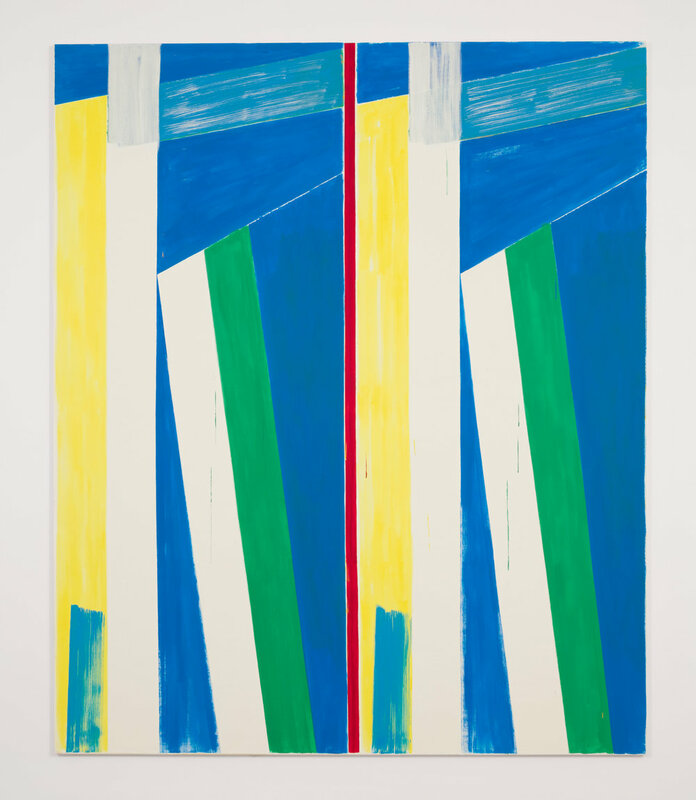 Although aspects of his work can be traced to the simulationist movement of the ‘80s, Piffaretti’s method of painting one abstract image and then precisely copying it is wholly unique to his practice. 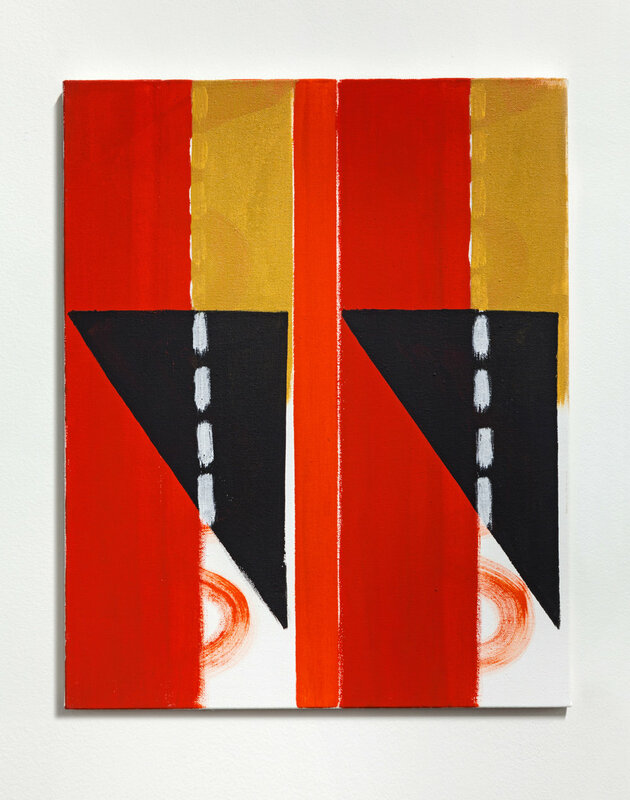 “For me the duplication is a process and becomes the image of the painting.” He says. Piffaretti has been the subject of numerous solo shows since 2000 at the Musée des Beaux-Arts de Nantes and the Fondation Cartier, among many others. At the studio the first decision is choosing a different size for the new stretcher. The central mark on the canvas is the “opening sign” of the painting, the beginning process. The constraint of duplication is a position of liberty. Act by act the first part is yet a memory of the second painting time. The future is now. How do the paintings come together? The paintings are made in a long continuum using opposite situations of paintings in echo with the common “patterns” of the history of art. Do you feel that the artist’s energy can transfer to the viewer through the painting? I would like to give this energy to the viewer: “You arrive in a second time but you have the first place.” Remember Marcel Duchamp. If you had to pick one word to describe Paris what would it be? Paris is an “After” and it’s a good place for becoming a working artist with the city’s history. If you don’t understand this “After,” you will be in a crazy situation.